Among the show-trucks that Jeep unveiled for this year's Easter Safari is an old Gladiator fitted with a Hellcat engine. The question that naturally follows in our muscle-obsessed minds, then, is whether FCA could put such a beast into production, slotting the big supercharged V8 under the hood of the Gladiator (or Wrangler) as it has in the Grand Cherokee (and the Dodge Charger and Challenger). 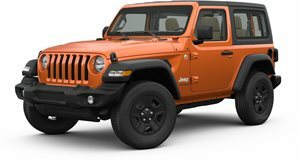 "It is not a problem to put it in... except it would never pass any crash tests, and that’s a problem.” And there go the chances of ever seeing a Wrangler or Gladiator powered by the Hellcat (or likely any V8) on the road. 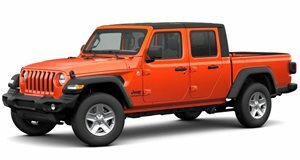 As for the two-door/long-bed Gladiator, like the blue concept Jeep showed in Moab, the prospects for production come down more to demand. The J6 is "just a concept at this stage. But that doesn't mean we're not going to gauge interest from it,” said Kuniskis. "The thing that [would] preclude us from doing it is that the segment is [predominantly] four-door, five-foot-bed vehicles. And if you look at the segment and displace it down to the two-door versions, the segment is tiny… so how do you make a business case out of that?” If you want it to happen, better tell Fiat Chrysler.